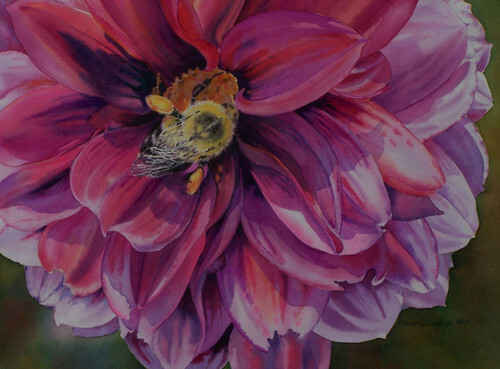 I have been painting in watercolour since 1997, when I was inspired by the different flowers in my garden, to capture their fleeting beauty and enjoy them during the winter. I am a self-taught artist, learning and exploring watercolour and other media through workshops and books. 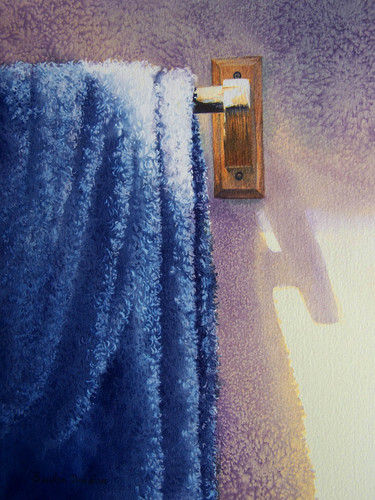 I am drawn to the challenge of capturing light on flowers, objects, and in the landscape. 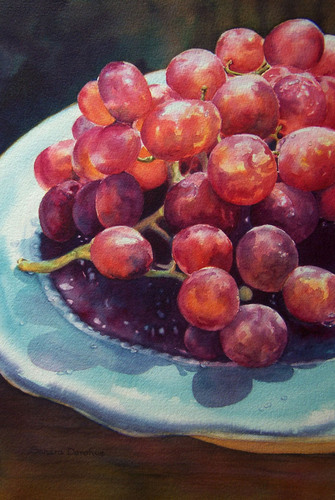 The way it gives life to a subject gives great joy. Still life paintings are very satisfying to do, as the painting seems to transform every-day objects into very special ones. I am an Associate member of the Federation of Canadian Artists as well as a member of the West Kootenay Chapter of the FCA, and as a weaver, I am a emmber of the Selkirk Weavers and Spinners Guild. Yes, there is always conflict as to whether I should be painting or weaving. Right now, painting is winning the battle. 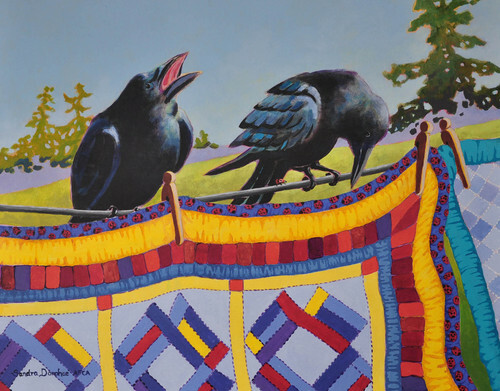 "Quilts on a Crowsline #2" materialized as a result of a couple of young crows who visited our yard regularly. Their antics were delightful, although somewhat naughty. 2012 has been a busy, exciting year. 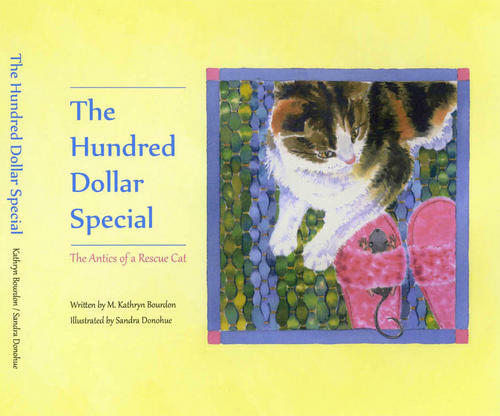 A childrens' book, "The Hundred Dollar Special- the Antics of a Rescue Cat", written by Salmo author Kathryn Bourdon, and illustrated by me,is currently at the printers and will be ready just before fall. Some of the original illustrations are on display at my Castlegar 2012 Art Walk show (Kalawsky Chevrolet, Castlegar). Visitors to my studio during the Columbia Basin Culture Tour, August 11 and 12(10 to 5 p.m.) may see the others. The Hundred Dollar Special is now in its second printing and available in Castlegar at the Kootenay Gallery,and Lisa's Gift Box.